BEAVER DAM -- Some are calling track safety into question after a second driver dies in four years at the same Wisconsin raceway. Sprint car driver Jason Johnson was killed in a horrific crash Saturday night at the Beaver Dam Raceway. The 41-year-old was from Louisiana. Austen Semmelmann was one of thousands who packed the stands for the race. "It was just shock, screaming, then it got really quiet really quick," Semmelmann said. Semmelmann watched as Johnson lost control on lap 18 on the dirt oval. "Johnson got clipped on his front end and he kind of went for a ride, went rolling and got to the top of the billboard and landed on the wall," Semmelmann recalled. The heartbreaking scene was all too familiar for Semmelmann. "A lot goes through my mind, especially after what's happened with my dad and my family," he said. 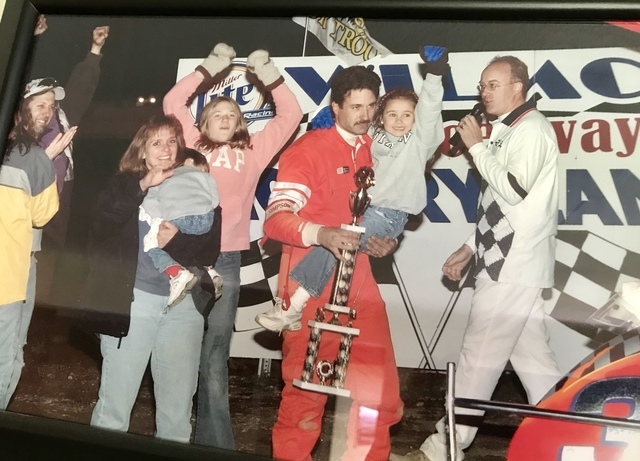 He was at the same track nearly four years ago when his father Scott Semmelmann was killed in a race. "Always a smile on his face, hard worker, everything you could ask for," said Semmelmann. Semmelmann said both fatal accidents not only happened on the same part of the track, they both involved hitting a concrete wall. "I think it's one thing to say it was a freak accident, but this is twice in four years now," he said. Semmelmann is well aware of the dangers of the sport, but he believes the track should not be one them. Without a netted catch fence, the only thing to stop out-of-control drivers from leaving the track is a cement wall. "Whether it be a catch fence, some way to prevent the cars from getting on top of that wall," Semmelmann said. "There aren't many tracks that do have just a concrete wall. There's a catch fence, different things ... there's no wall, there's a runoff area, there's something between the wall and the driver." The owner of the track did not return our calls for an interview about the track's safety.